Unfortunately, many of us have experienced excess fat. Whether it’s simply a single area of stubborn fat that you want to treat or you’re heading determinedly along a weight loss journey, excess fat is a common problem to face. In order to maintain a healthy weight, diet and nutrition plays a significant role. 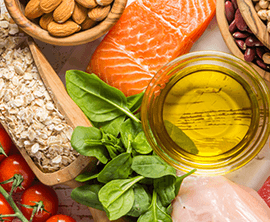 Eating too much solid fat, which provides zero essential nutrients, can lead to weight gain, obesity, drop in energy levels and chronic diseases. Excess fat can play a significant role on your organs, and can also be responsible for raising your risk of developing heart disease, diabetes and certain cancers. It is important to understand what is causing it in your individual case, and how you can overcome it. Your genes and family history may dictate how much fat your body stores, and where on your body this fat is distributed. Certain health conditions and medicines, such as thyroid problems, cushing’s or PCOS may also be a factor in causing excess fat. HOW TO TREAT EXCESS FAT? Cutting-edge, non-invasive fat reduction treatment, targeting fat cells at a precise level. Body treatment that can help achieve a more toned and smooth appearance. Bespoke diet and nutrition programmes tailored to your own goals. Micro-injections of vitamins to help reduce fat, cellulite and help tighten skin. Removal of fat from stubborn areas that can help to achieve a slimmer silhouette. Similar to Vaser but Vaser 4D works with your own personal muscle structure. Targets both deep and superficial fat surrounding the muscles. A natural and innovative procedure that is less invasive than traditional surgery. Injectable treatment that releases CO2 to help break down fat cells. An inactive lifestyle can be the primary cause of excess fat. You don’t have to over exercise or follow an extreme diet, but an awareness of how often you are moving around and what you are consuming is important to maintain that crucial energy balance. Can I get rid of excess fat? Removing stubborn fat can be daunting, however, EF MEDISPA offers a huge array of surgical and non-surgical treatments which in conjunction to a healthy lifestyle can help you achieve the desired results.